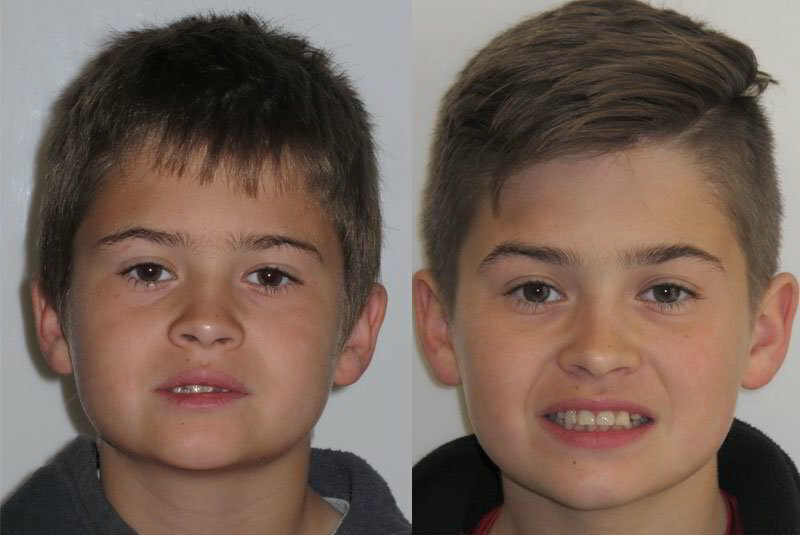 The American Association of Orthodontists recommends that every child be evaluated between the ages of 7 and 9. At that early age, it’s possible to determine if there are issues related to the child’s growth or tooth positions that should be addressed sooner rather than later. Early, interceptive treatment can be recommended to correct crossbites, underbites, extreme crowding, impacted permanent teeth, under or over developed jaws that affect the profile and bite, and constricted airways. With early treatment we can take a less invasive, preventative approach. Addressing development concerns while the bones are growing gives us the ability to avoid more invasive approaches in the future. In Dr. Buchanan’s office we use no expanders or headgears! !